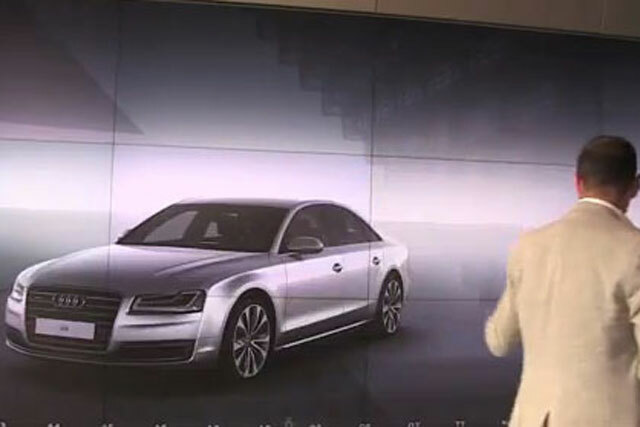 Amit Sood, technology lead at the Audi City concept store, demonstrates how Audi uses Microsoft's Kinect motion-sensing technology to bring its cars to life. The Audi City concept store in Piccadilly has boosted sales by 70% since it was introduced and elements of the store are being rolled out to other UK dealerships. Marketing spoke to Sood as part of its investigation into in-store technology innovations, keep your eye on www.marketingmagazine.co.uk for further videos. How are brands fighting off the 'death of the high street'?